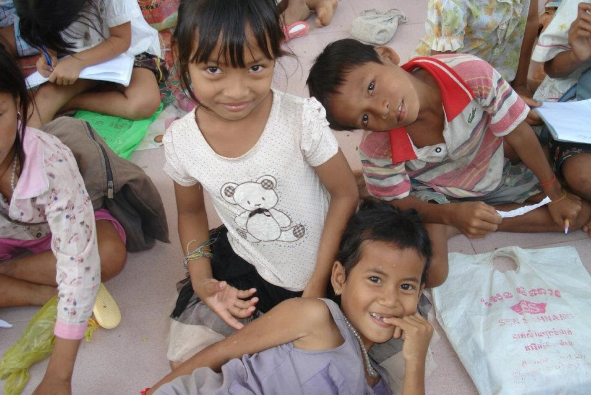 Spreading joy to Cambodian children one hula hoop at a time. So what's all the hoopla? 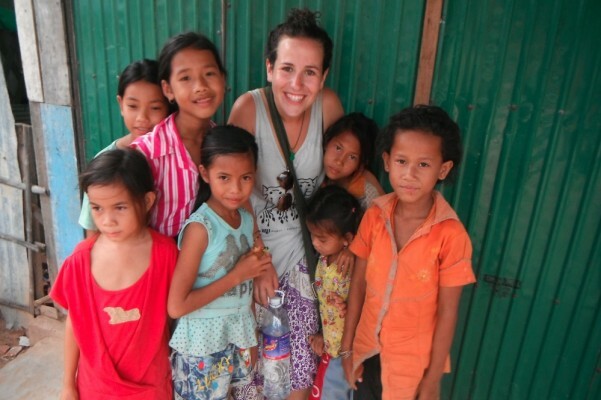 In early 2012, I had the incredible opportunity to volunteer with New Futures Organisation (NFO) in Cambodia. New Futures Organisation is a not for profit organization based in Takeo province in southern Cambodia, whose aim is to educate and enrich the lives of local youth. They operate seven village schools in remote areas outside of Takeo, operate a drop-in centre for at risk children, and continue to support young people into adulthood. I had the tremendous pleasure of volunteering at the Prey Run village school (known locally as “Little Po”). I’m thrilled to announce that I’m finally returning, this time with a mission! 1) I was smiling and having more fun! Put simply, hula hooping is all about dancing, smiling, and connecting to child-like play. There is no doubt that dance and movement make us smile! 2) I felt more relaxed and I had a new outlet for stress relief. 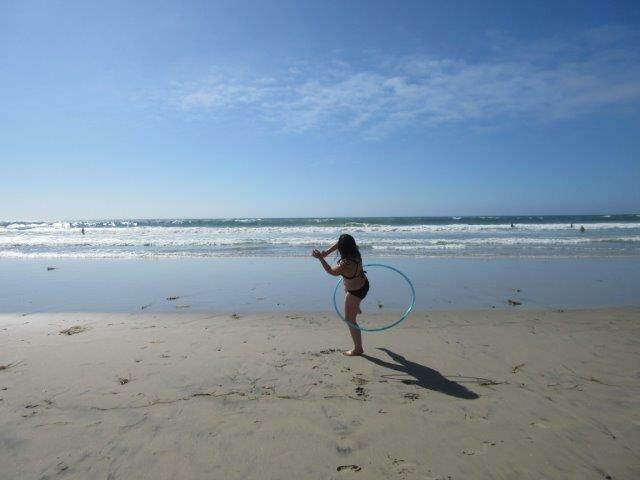 Hula hooping is meditation in motion and feels great for the body and mind. There is something about a circle spinning around you that is soothing and comforting. 3) I felt more confident and free to creatively express myself. There is no right or wrong way to hula hoop! It is an art form that encourages creativity, exploration, and non-judgment, allowing an individual's uniqueness to truly shine. 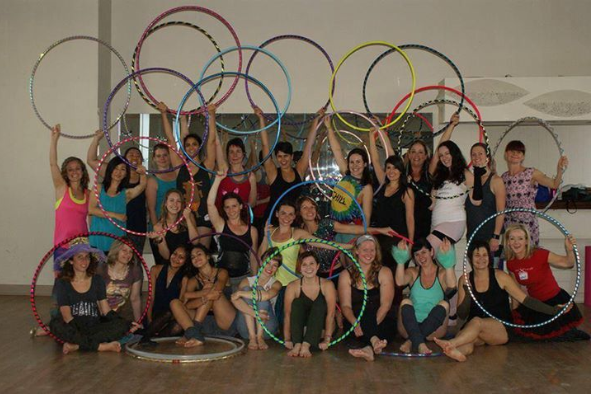 It is my goal to bring hula hoops to NFO’s seven village schools, where I will teach hoop dance workshops to the children. My plan is to leave a set of hoops at each school. In addition, I will be making a trip to the island of Koh Rong off Sihanoukville, Cambodia where I will also be teaching to the kids at Friends of Koh Rong (FOKR). My friend Kelly Beker, also from Toronto, is one of the founders of this incredible organization involved in community building on the island through education and sustainable development. There is no doubt that movement and fitness correlate to overall health and happiness. With the help of the incredible Sugar Hoops crew, it is my hope to spread this joyful means of self-expression with the wonderful children of Takeo and Koh Rong. So please help us give HOOPS to warm HEARTS!!! Every $20 donated will allow a Canadian hula hoop lovingly assembled by the Sugar Hoops team of Toronto to be handmade, decorated, and shipped to Cambodia. Please help me share this gift and bring smiles to the most wonderful kids. Your support means the world to me. Well...we have reached our fundraising goal and will be sending 100 hula hoops to the children at New Futures Organisation and Friends of Koh Rong!!! I can't express to all of you enough how grateful I am for all the love and support. Any extra money raised will be donated to NFO and FOKR and will be used towards whichever areas they need it the most, ie. water sanitation, school supplies etc. Two weeks until we HOOP for HEARTS at our community fundraising hoop jam!!! Astonished, amazed, and SOOOO appreciative for all the support we've gotten so far!